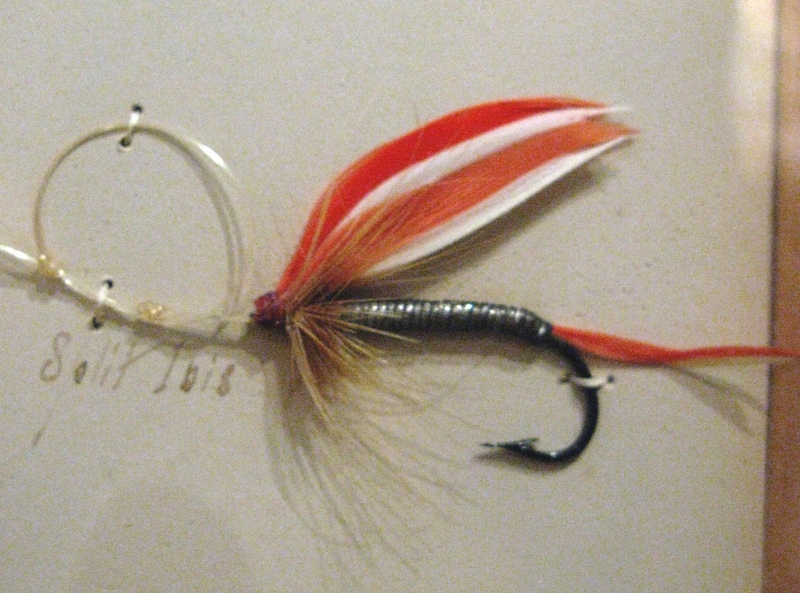 This pattern as represented in Trout by Ray Bergman is a little different than the old, original 19th century version I discovered on the 1893 Orvis Display Plates at the American Museum of Fly Fishing in Manchester, Vermont. 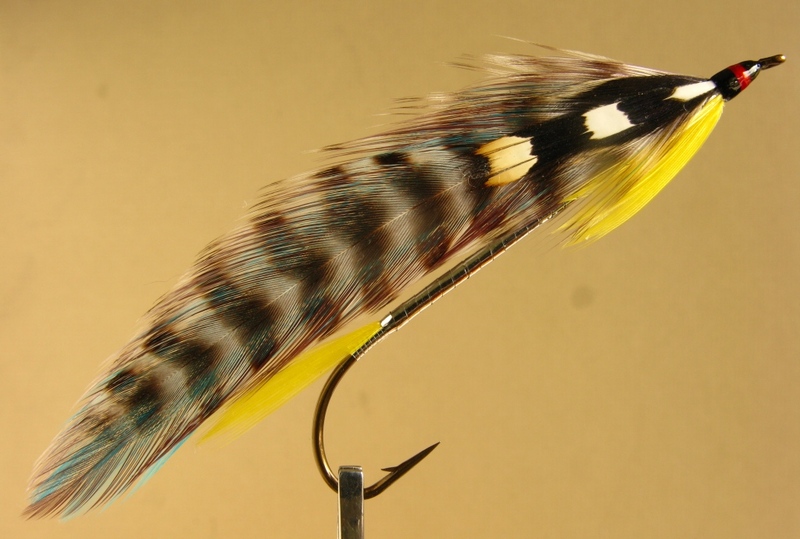 Bergman’s book obviously includes the Fitzmaurice as a trout pattern, while as represented in size on the Orvis display, it could be a either a Lake Fly, intended for brook trout and landlocked salmon, or a Bass Fly, or perhaps both. 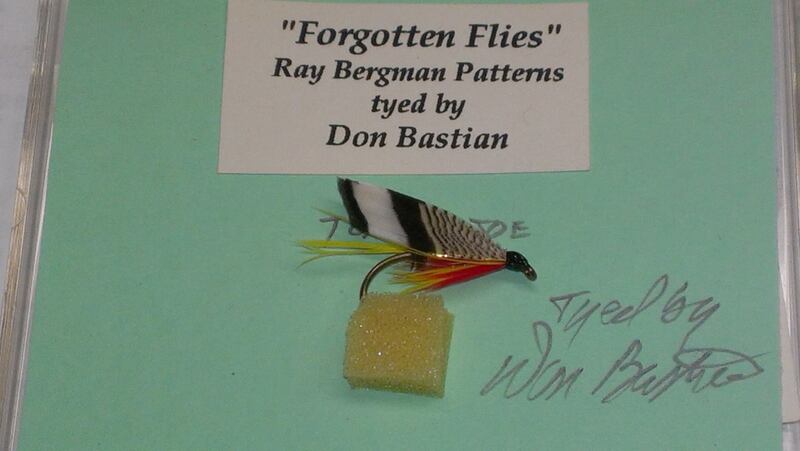 Fitzmaurice wet fly, recipe from Trout by Ray Bergman. 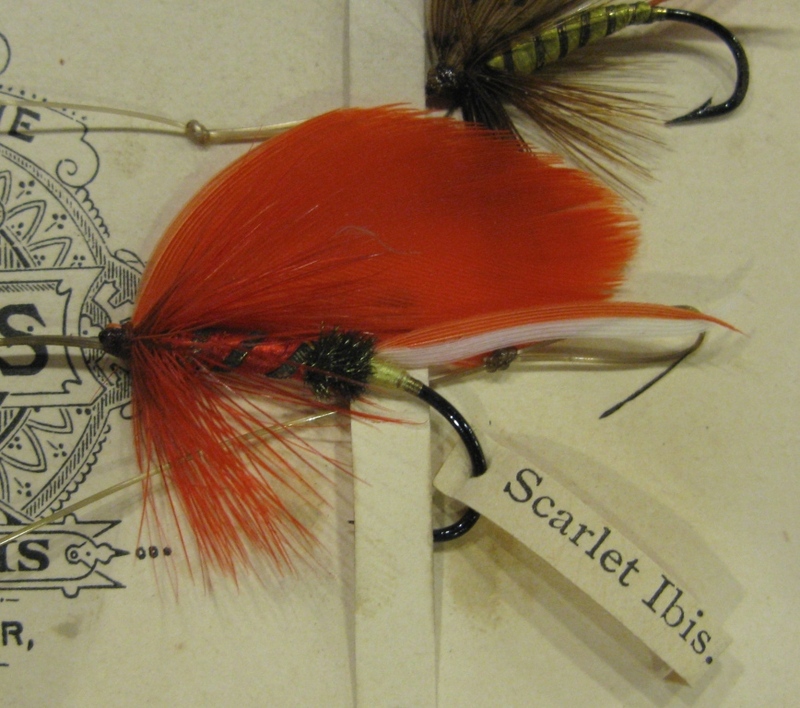 Fitz-Maurice from 1893 Orvis Display, hook size is approximately a #1/0. 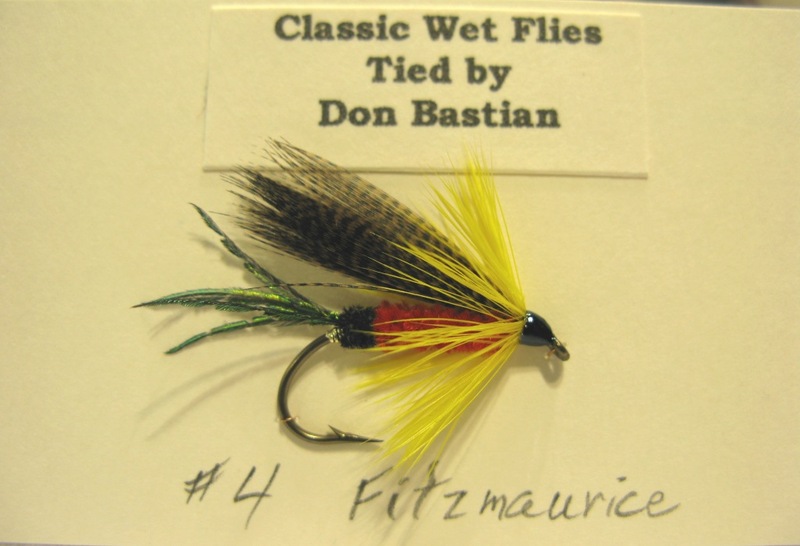 The Lake Flies were traditionally tied in sizes this large, as were the Bass Flies. 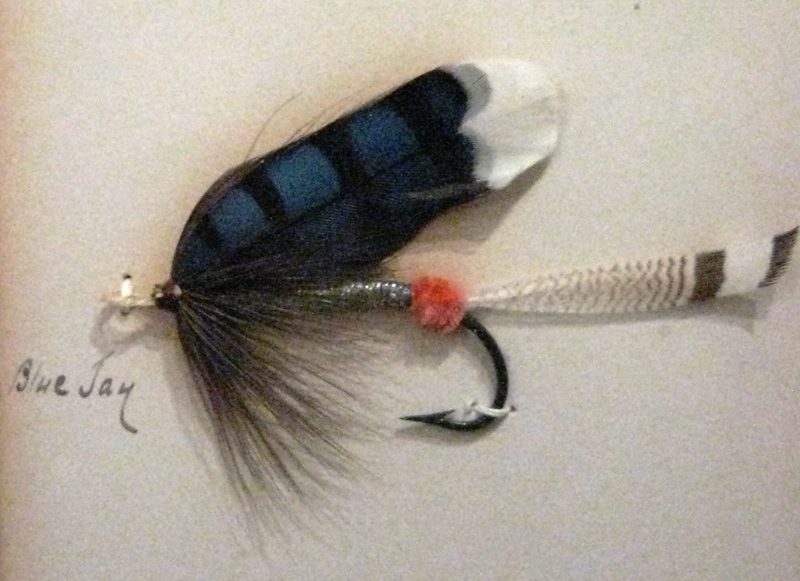 Wing: Gray mallard, two whole feathers; this could be classed as a spoon wing. 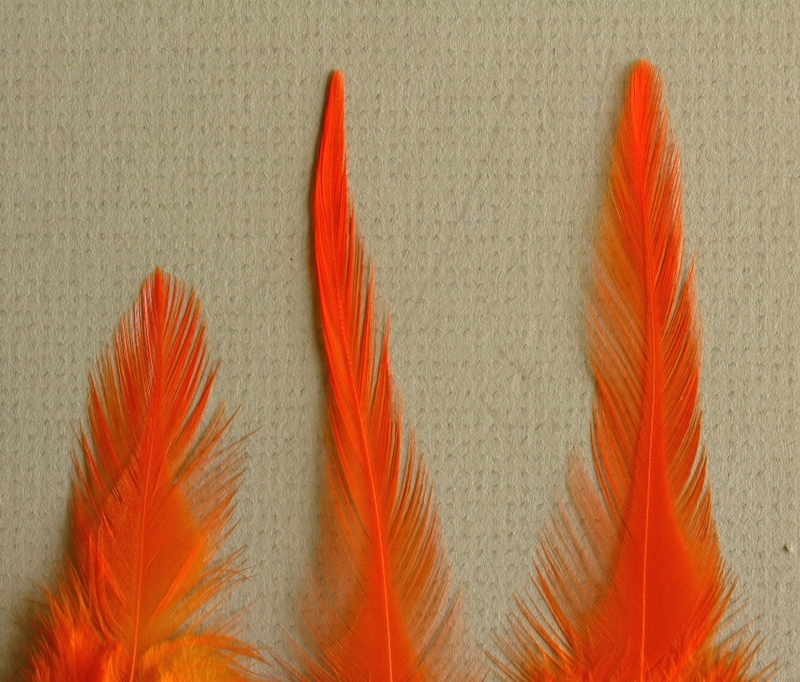 The stems were tied reverse-wing. This pattern has a gut loop eye, often referred to back in the day as a snood. 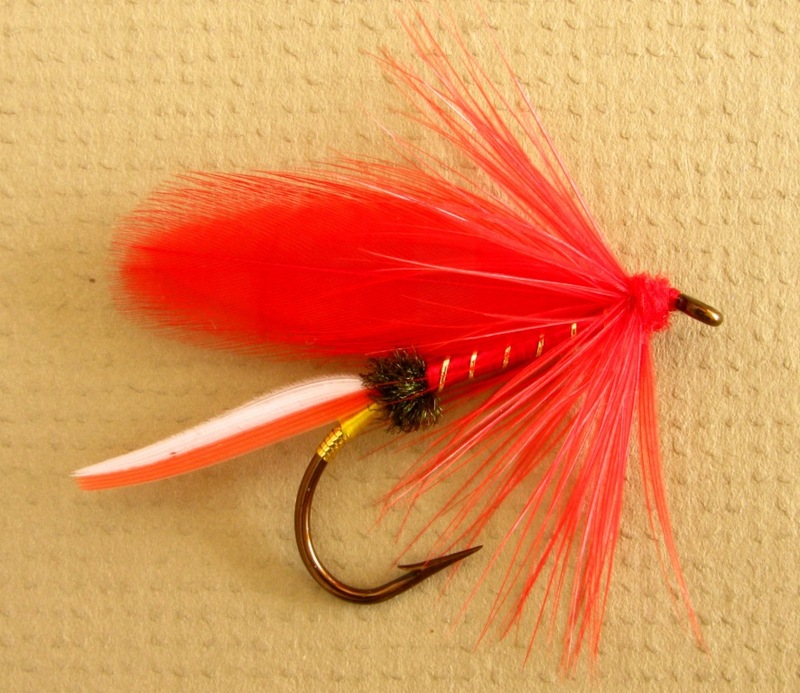 The chenille is very dense, most likely a fine grade of silk chenille. 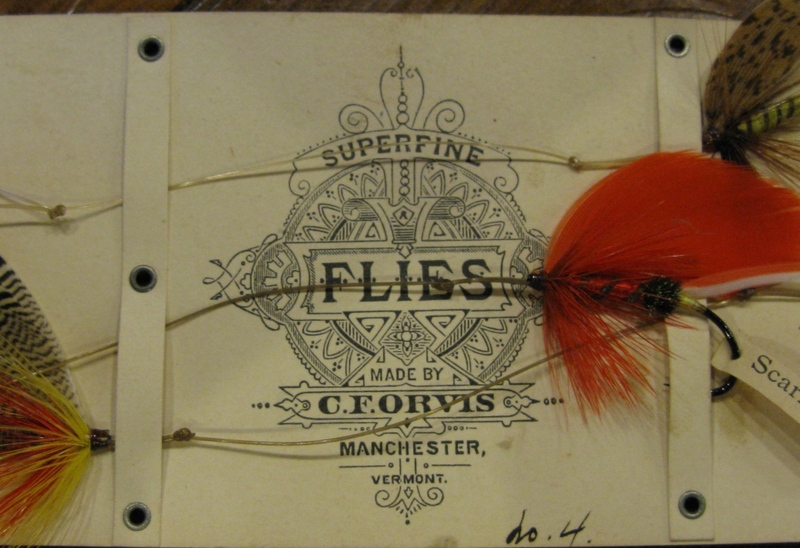 The Fitz-Maurice is not listed in Mary Orvis Marbury’s Favorite Flies and Their Histories, 1892, but as you can see it is on the 1893 Orvis Display, and it will be among more than 200 additional 19th century fly patterns, beyond the 291 in Marbury’s book, that will be listed by name with the accurate recipe, determined by visual inspection of actual flies, and from study of my collection of fly photos, in my upcoming book in progress, Favorite Fishing Flies – 1892. 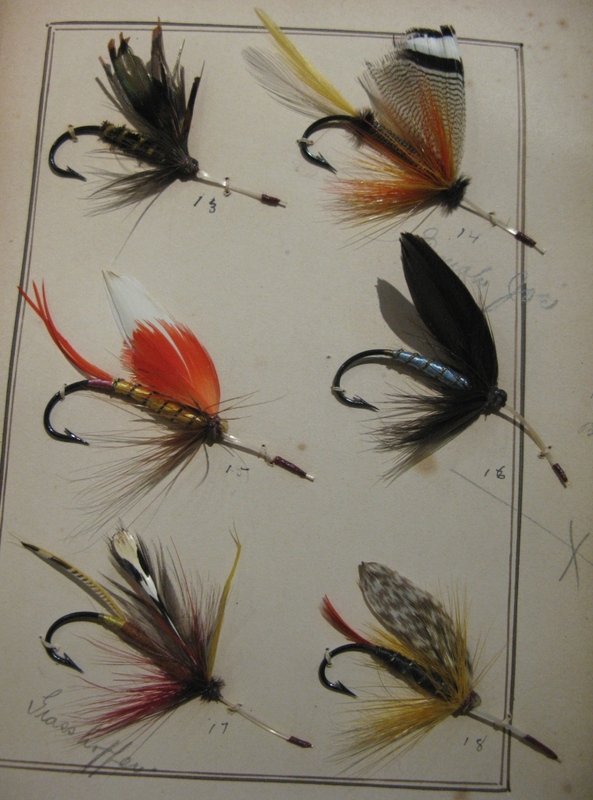 The additional fly patterns from the 1893 display include flies in all categories of Marbury’s book: Hackles, Lake Flies, Trout Flies, Salmon Flies, and Bass Flies. 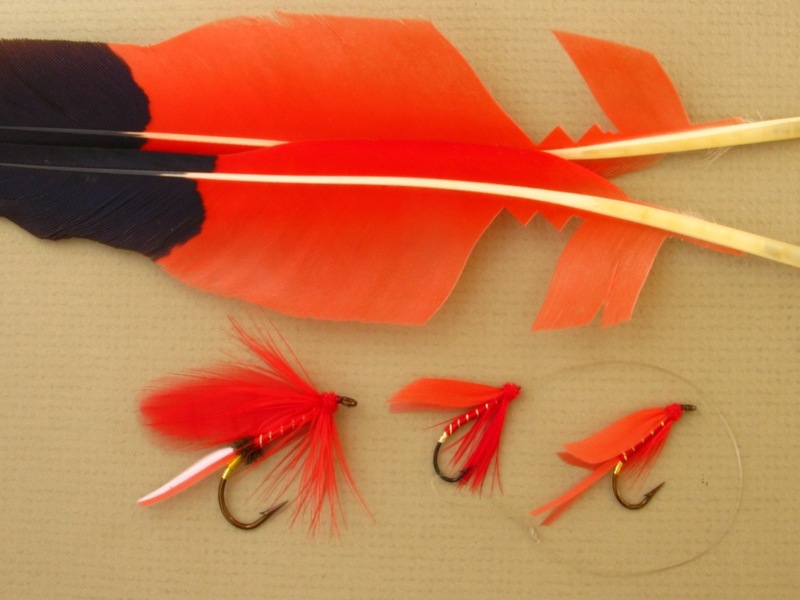 Here is an update for my schedule at the Fly Fishing Shows in Marlborough, Massachusetts; and Somerset, New Jersey. Due to my health issue this fall and through December, I was not even sure I would be able to attend these two shows, though I certainly wanted to. 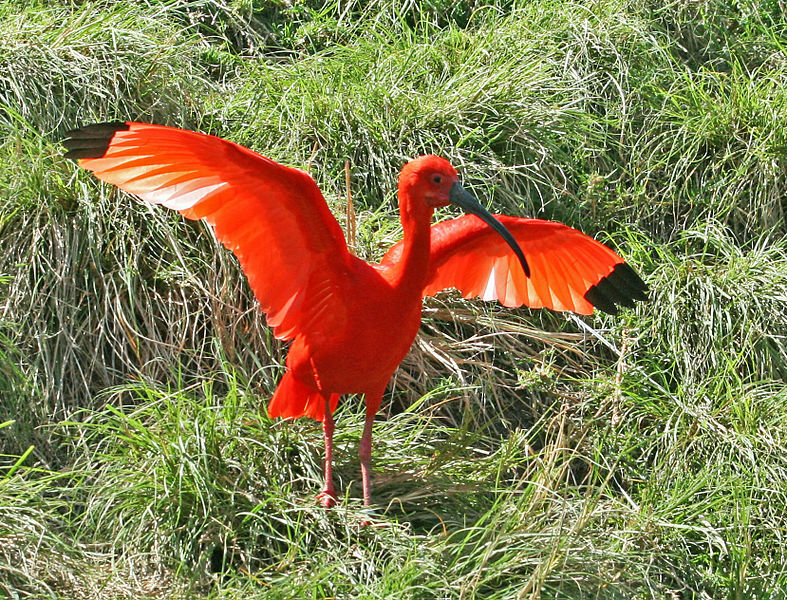 As things have turned out, my health has improved enough that I will be at the Marlborough Show all three days, from January 18 – 20. 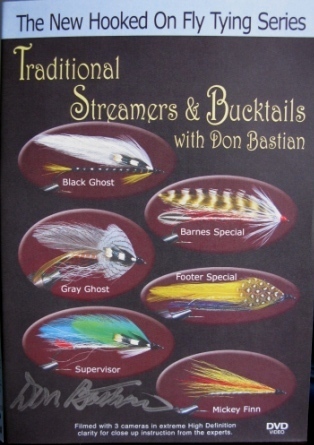 At Somerset, due to the full schedule of tiers and filled tables, I will not be tying and demonstrating at that show until sometime after noon on Saturday. 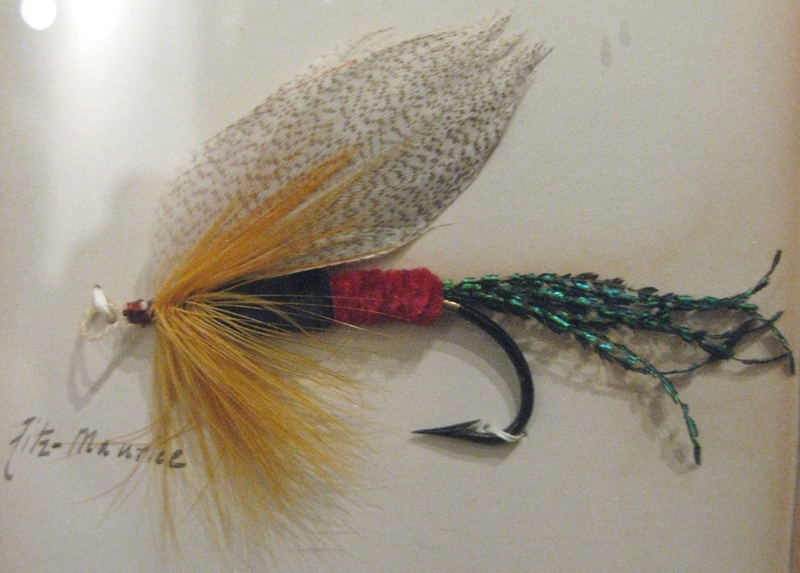 My friend Bob Mead, realistic fly tier of New York, has offered to share his half table with me from that point on. 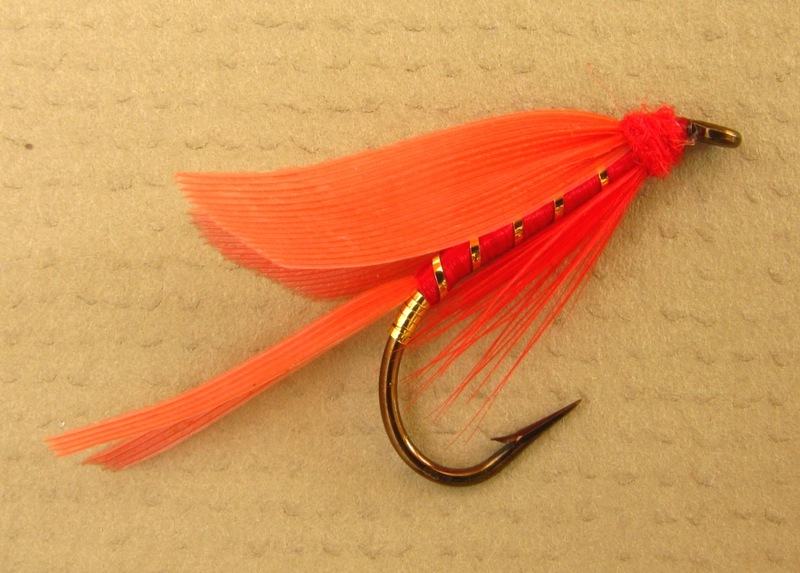 I’ll be tying next to Catskill dry fly wizard Dave Brandt. 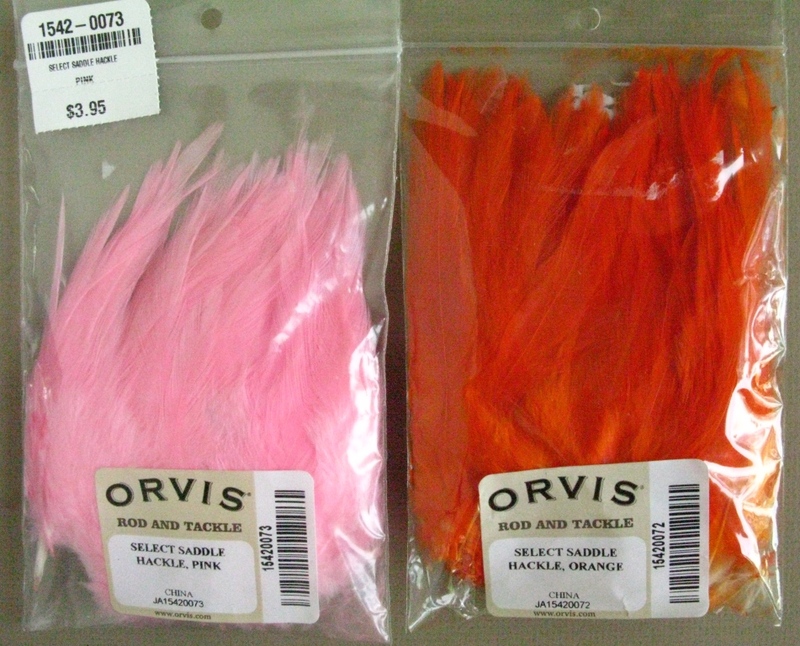 I also have my laptop and will be running a continuous slide show of the original book plate Orvis flies from Favorite Flies and Their Histories by Mary Orvis Marbury, at both shows. Please stop by, say hello, chat, and ask for a demo. 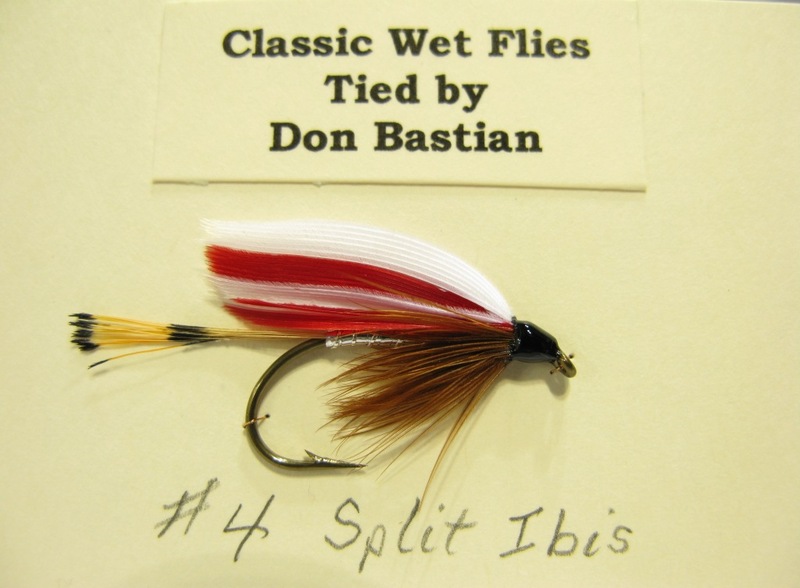 I hope to have the materials to tie wet flies of course, some Carrie Stevens streamers, some BXB Extended Body Slate Drakes, and maybe even my Floating Caddis Emerger. Just to do something a little different. 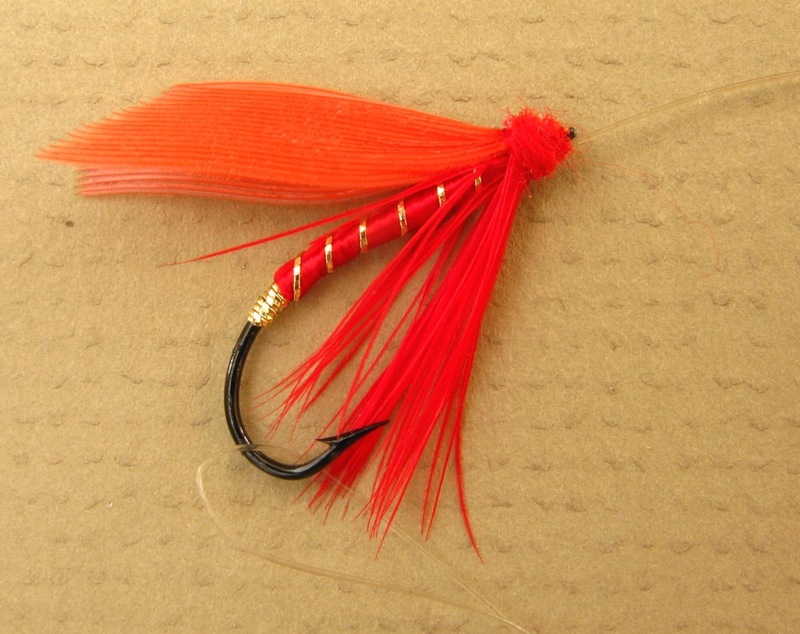 I wanted to get a bunch of those done but again, due to my health, I had orders for MyFlies.com that took priority. 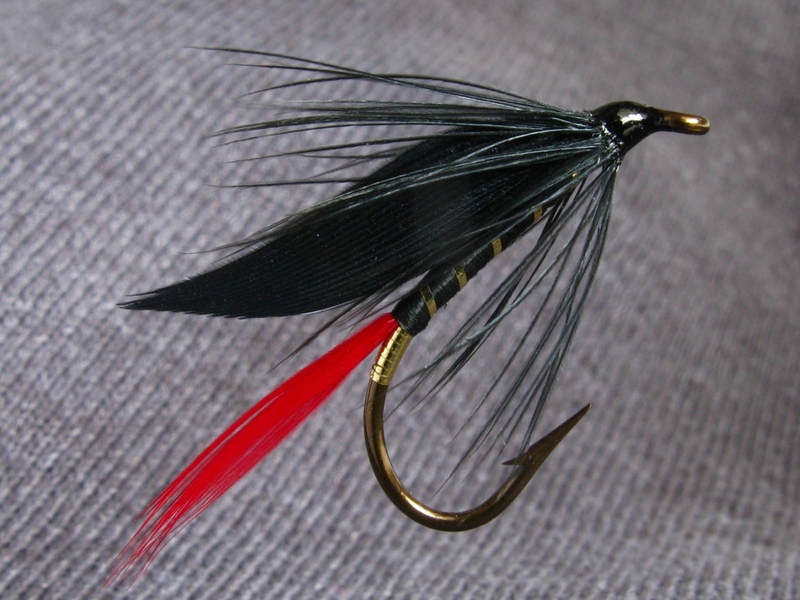 Of course, anyone wanting to, may place a fly order at either show. 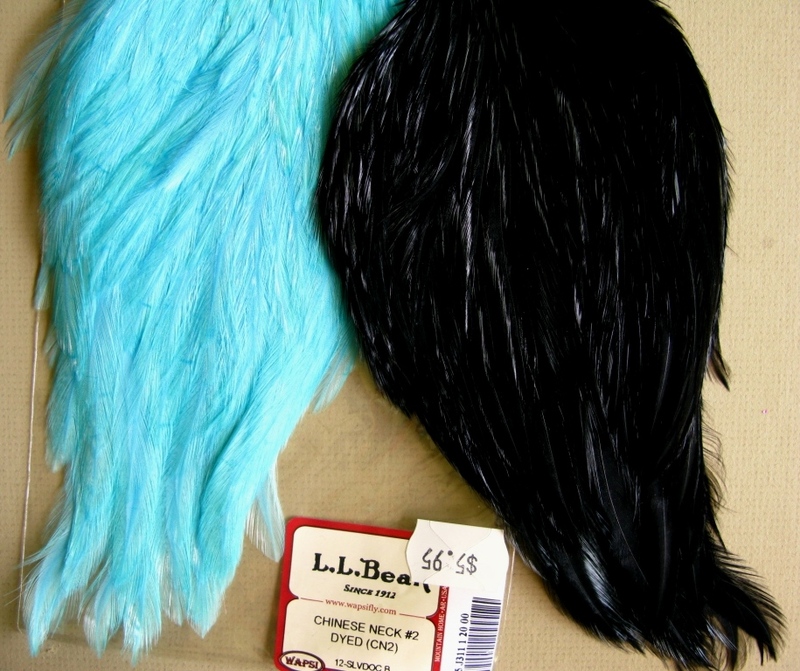 Blue Jay pattern, with American blue jay wings, from 1893 Orvis Display that was presented at the Chicago Exposition. 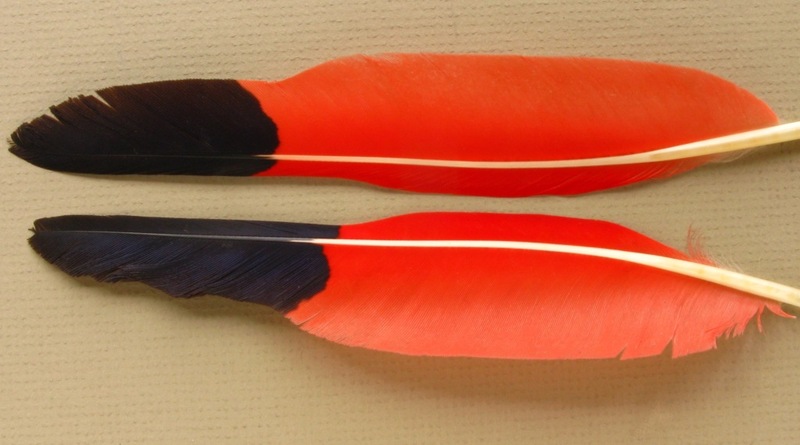 Orvis also used the Eurasian jay wing feathers for this pattern. 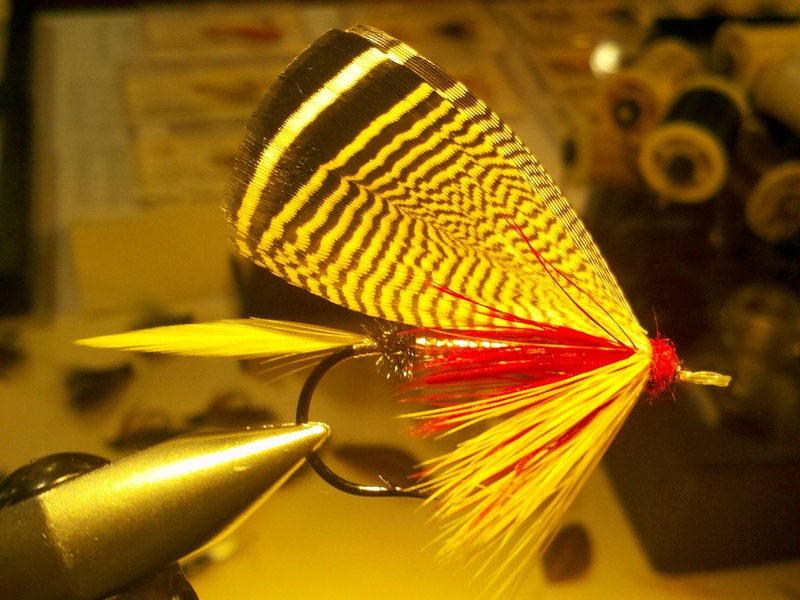 Not the best photo, a bit blurry, but hopefully decent enough to present the pattern. 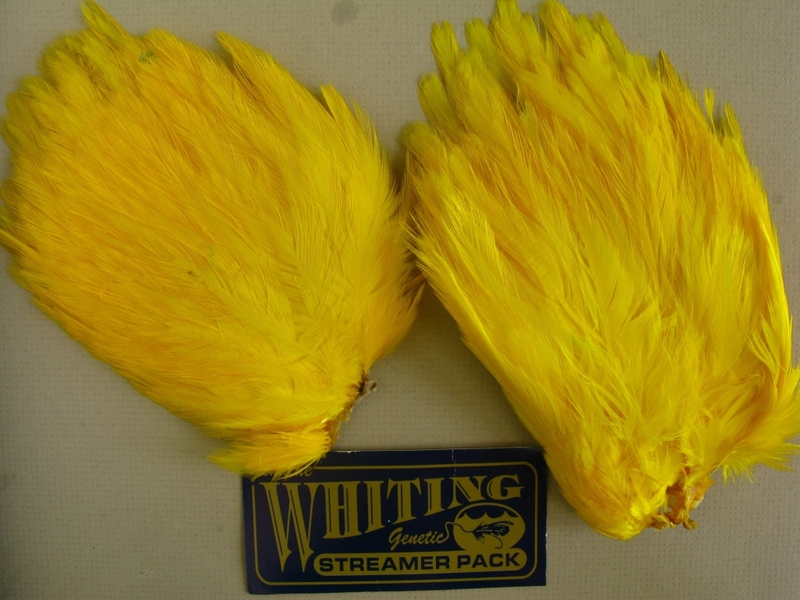 The color is fairly good. 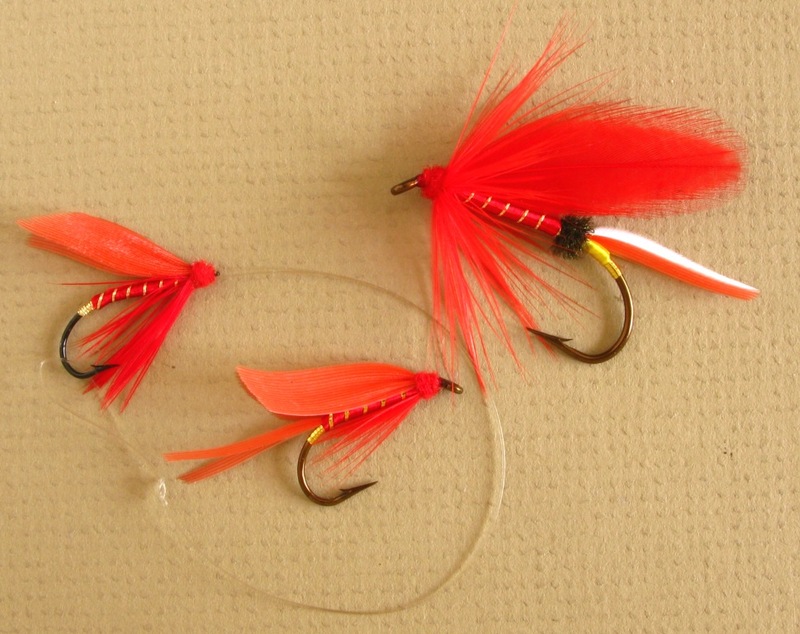 This was a Lake Fly pattern. The slide show pics will be much better.